This event is brought to you by many community partners: Shifting Gears, HRDC, Bemidji Parks & Recreation, Visit Bemidji, Nice Ride Bemidji, Bike Alliance of MN, Bemidji State University, Lake Bemidji State Park, MN DNR Trails & Waterways, and B-WELL. 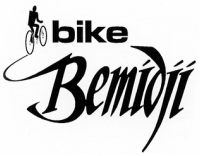 © Copyright 2014 Bike Bemidji. All rights reserved.